- Profit and Non-Profit 2. Limited Liability Company 3. Sole Proprietorship 4. General Partnership This post considers the Corporation form of corporate organization. The Law Office of Minott Gore, P.A. 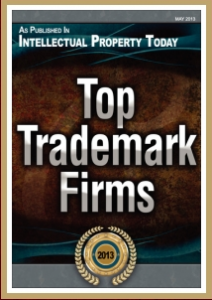 was recently ranked as a Top Trademark Law Firm for 2013 by IP Today Magazine. Minott Gore represents clients throughout the United States and internationally on matters of intellectual property law and trademark protection. Co-founding attorneys Keesonga Gore and Serena Minott launched the firm’s dedicated trademark and intellectual property website, FlatFeeTrademark.com, in 2008 to serve the needs of small business owners and entrepreneurs looking for affordable trademark registration services from experienced trademark attorneys. We’ve written at length about the importance of protecting the value of your intangible business assets, namely your trademark, brand name, logo or slogan. But what about the other intangibles that make your business run? 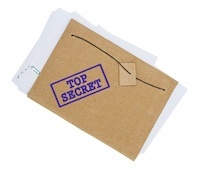 For example, what is a trade secret, and how do you protect them? At some point during your trademark application process, you may encounter a common trademark enforcement mechanism within the U.S. Patent and Trademark Office (USPTO) system known as a Trademark Opposition. In this article, we consider what is it, how does it work, and what to do if you find yourself on the receiving end of a trademark opposition. 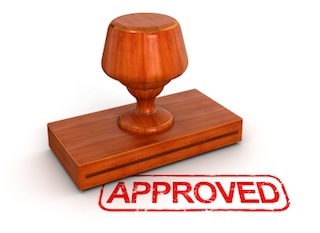 Approximately 3-4 months after your trademark application is filed with the USPTO, it is assigned to an Examining Attorney (Examiner) who is responsible for reviewing the application and determining whether, based on a number of factors and considerations, the mark should be permitted registration. Trademark owners have several opportunities during the trademark registration process to attempt to stop a potentially infringing trademark from becoming registered at the U.S. Patent and Trademark Office (USPTO). The appropriate enforcement tool depends on the stage of the application process when the trademark owner takes action, and nearly all of them require affirmative action on the part of the trademark owner. While the USPTO generally does an excellent job of catching potentially conflicting marks when it examines new applications for likelihood of confusion with a registered or prior pending mark, the USPTO Examiners have huge case files and applications sometimes slip through the cracks. Diligent trademark owners rely not only on the Examiners to keep their marks safe, but are proactive about monitoring new filings and taking action to prevent a potentially infringing mark from becoming registered. A common question that we receive here at Minott Gore and Flat Fee Trademark is from clients asking if they should register their trademarks. Now, we could be biased here, being trademark attorneys and all, but the answer is always a resounding, unequivocal YES! Now if you’re wondering why that is, let us explain. You see, trademarks have value. Just like the computers in your office, the packages on your shelves, or the delivery trucks in your parking lot, trademarks are company assets, albeit intangible ones. Just ask the Coca-Cola company, which had an estimated brand value of $77.8 billion for 2012. That does not include products and bottling facilities, people… That’s just the brand!